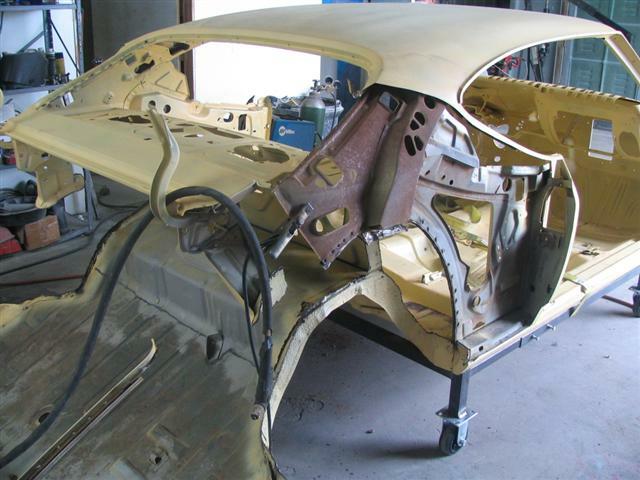 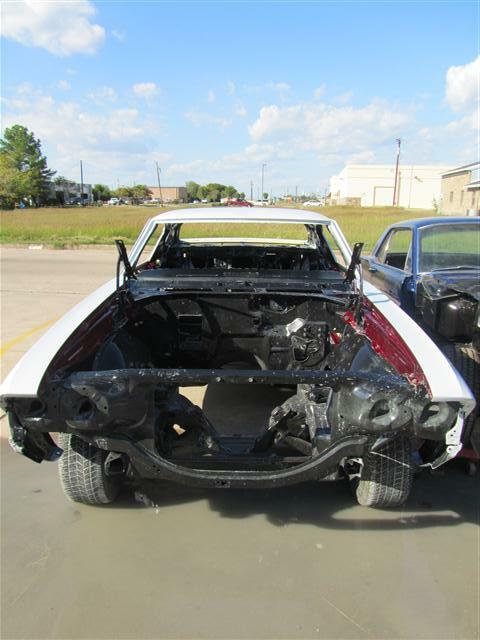 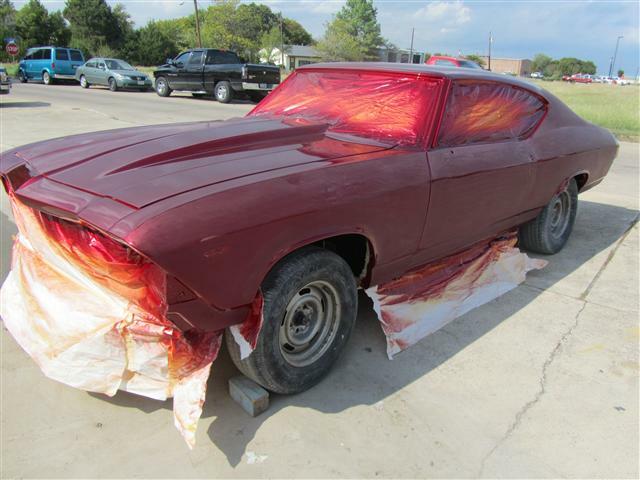 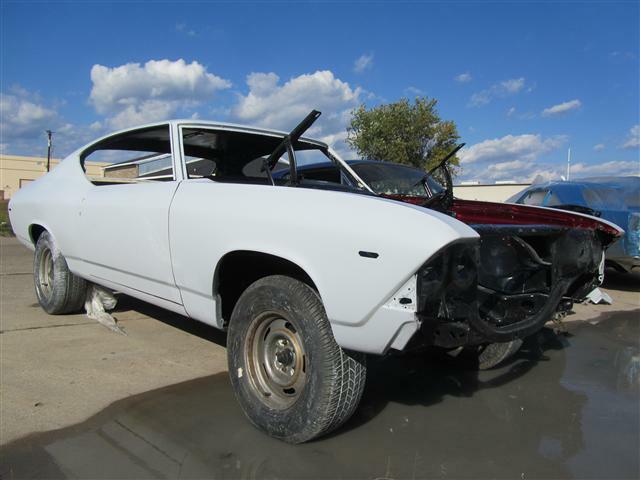 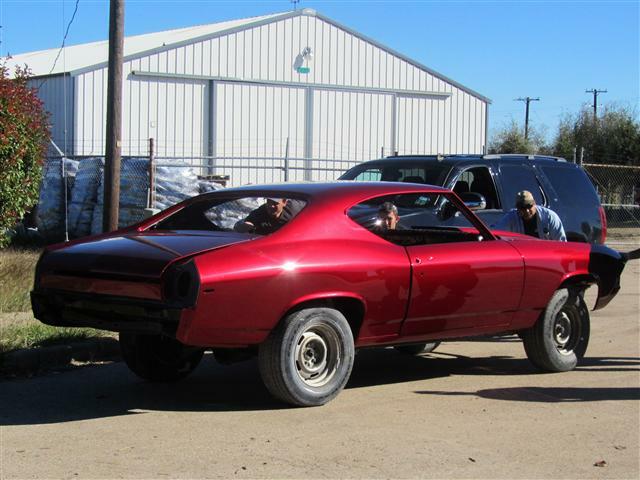 We had our work cut out for us to restore this 1969 Chevelle – or should we say, we cut it out ourselves. 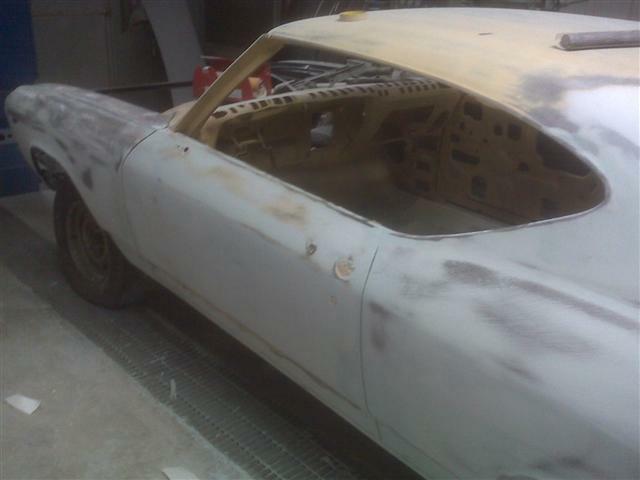 The back half was completely rotted and had to be scrapped, frame rails and all. 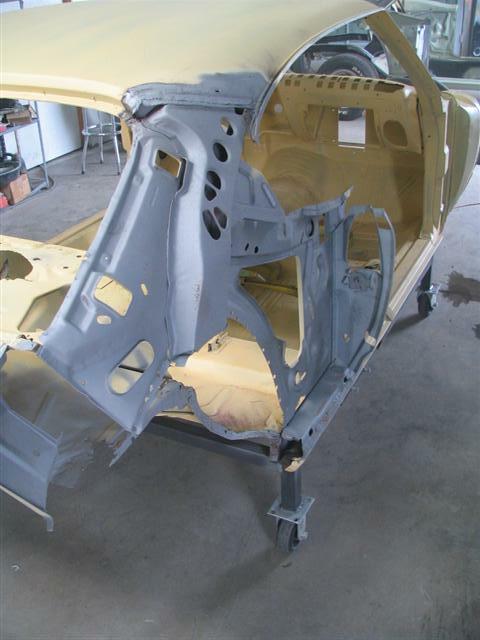 After stripping what was no good, we welded in new cross members, rails, trunk pan, full floor pan, quarter panels and wheel tubs. 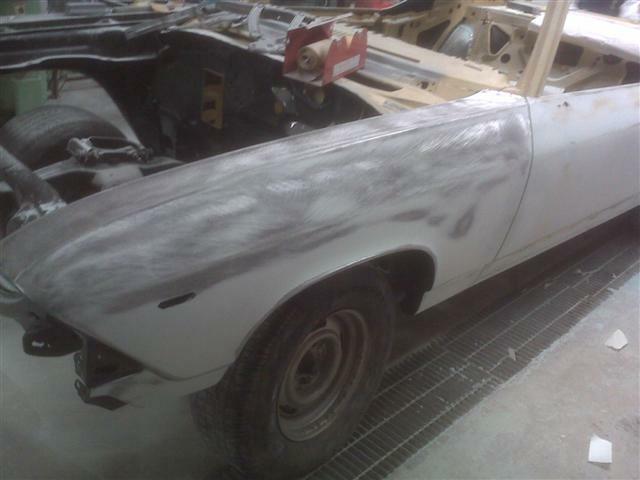 Some grinding and a little bodywork later, she was ready for color. 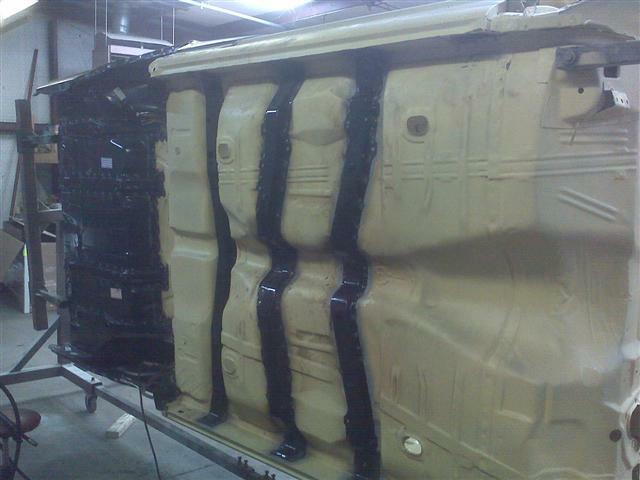 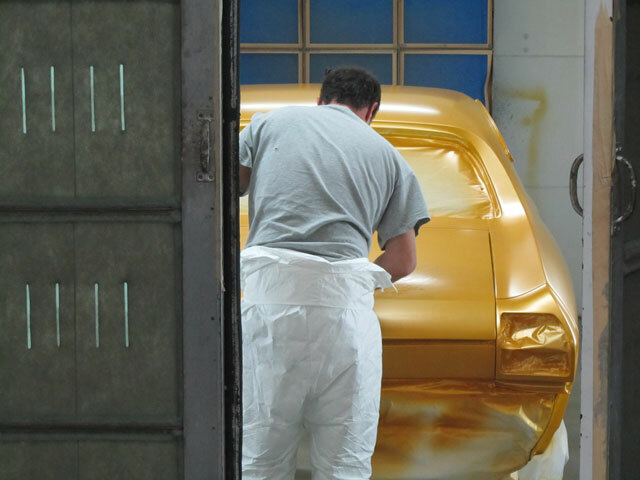 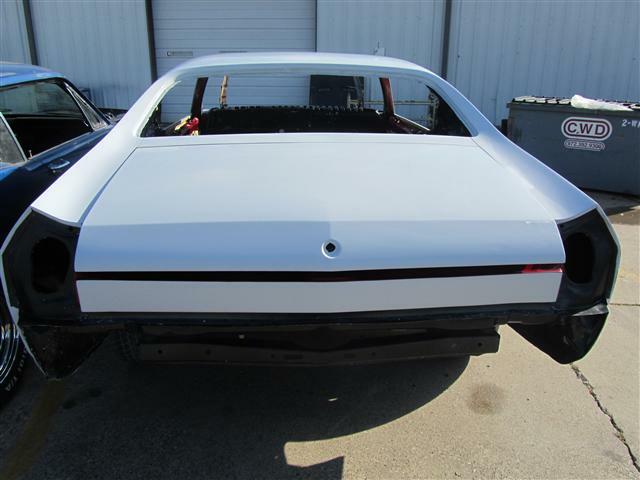 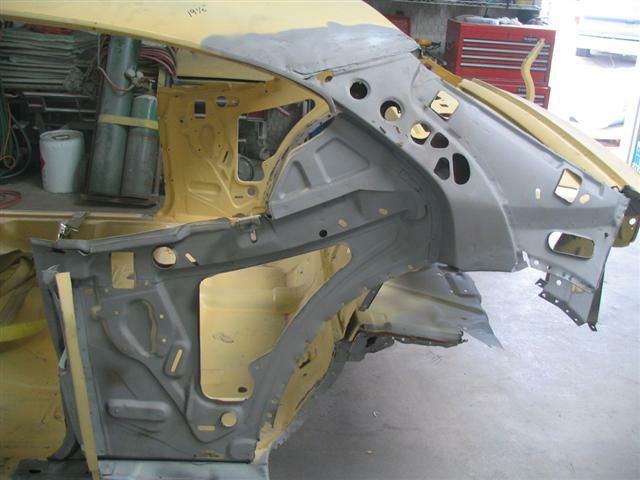 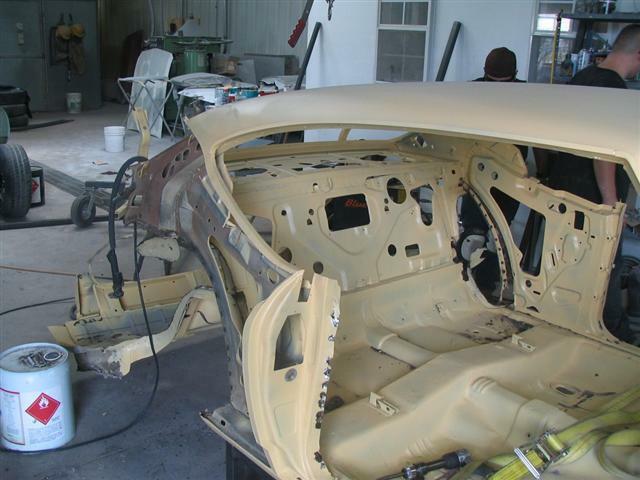 On a typical paint job, all panels are hung and gapped, then removed from the car before painting and sprayed separately from the body. 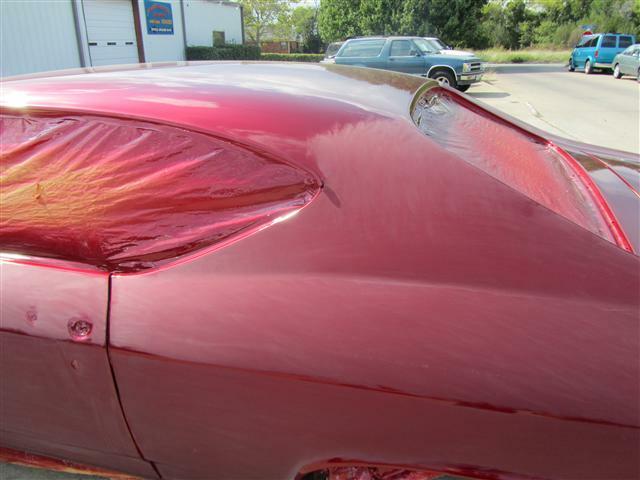 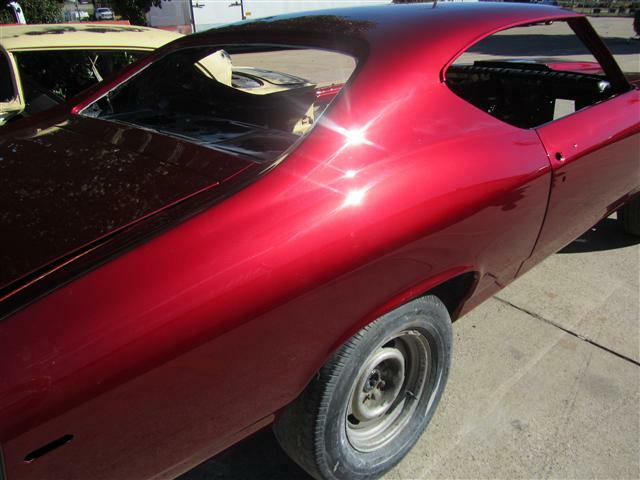 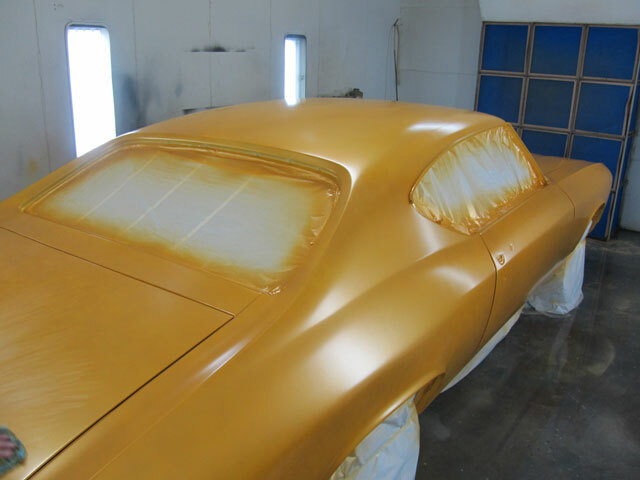 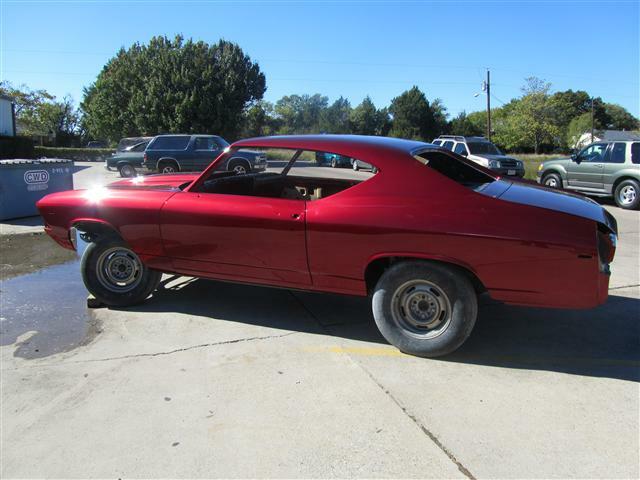 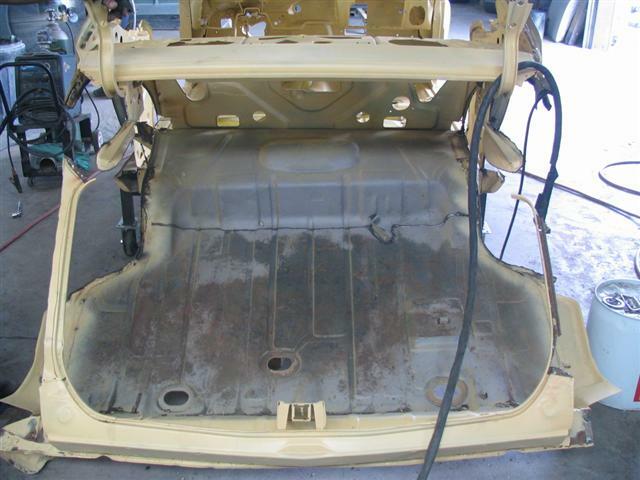 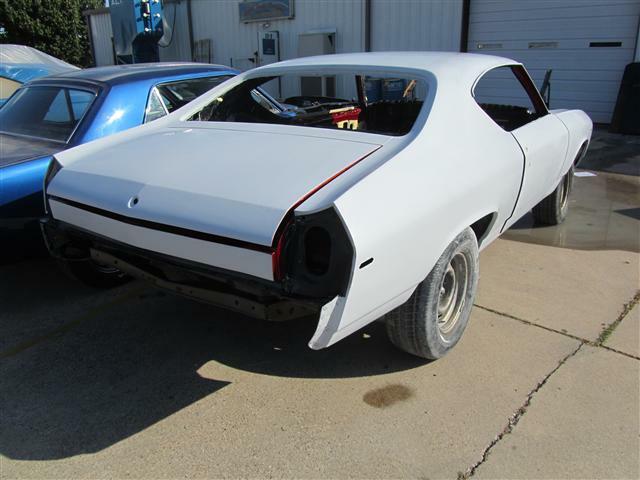 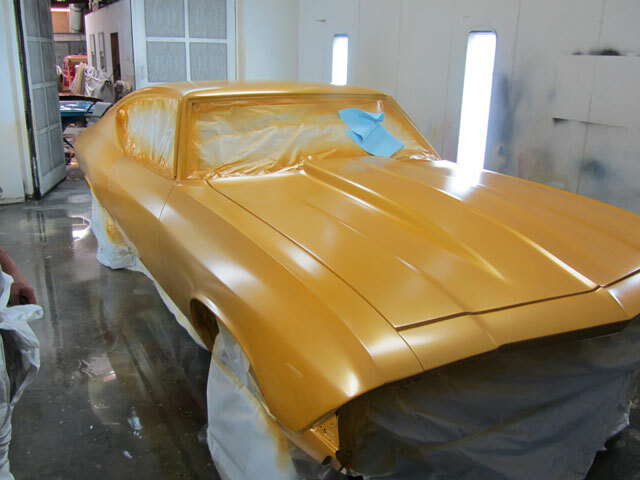 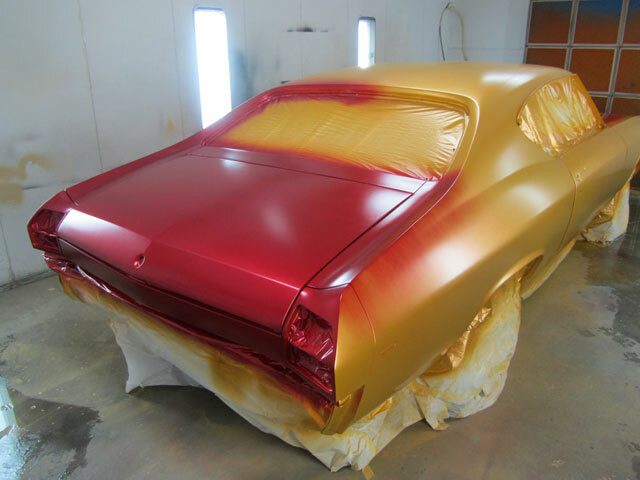 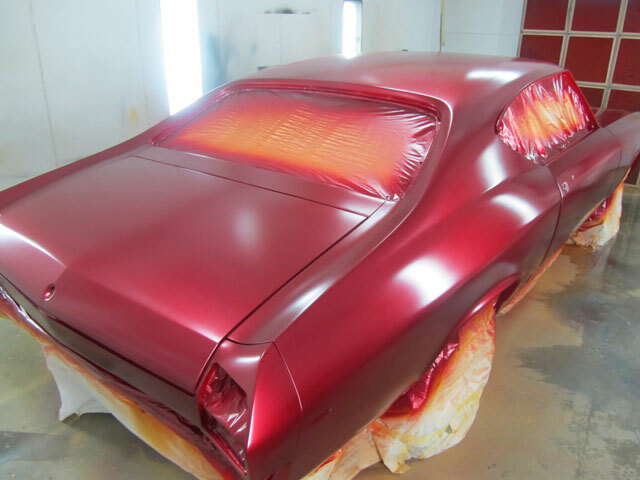 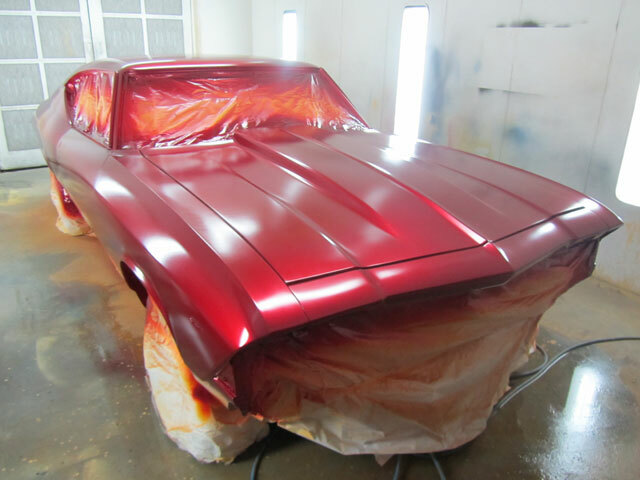 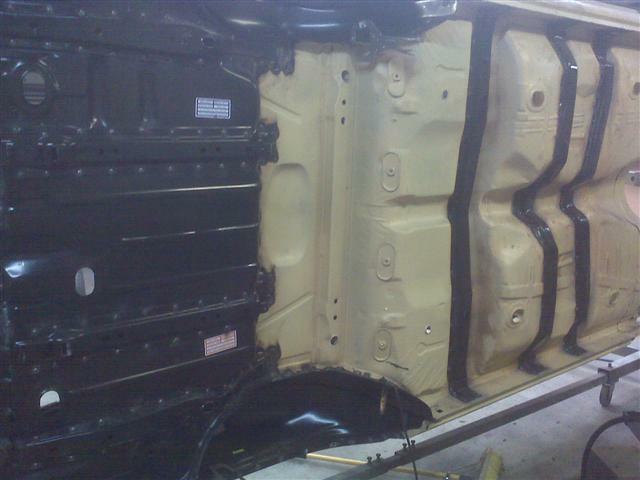 However, this Chevelle was getting treated to a custom candy application, so we removed them, cut in all jambs, then re-hung and gapped them out in order to allow the painter to build the candy up uniformly across the whole surface of the car. 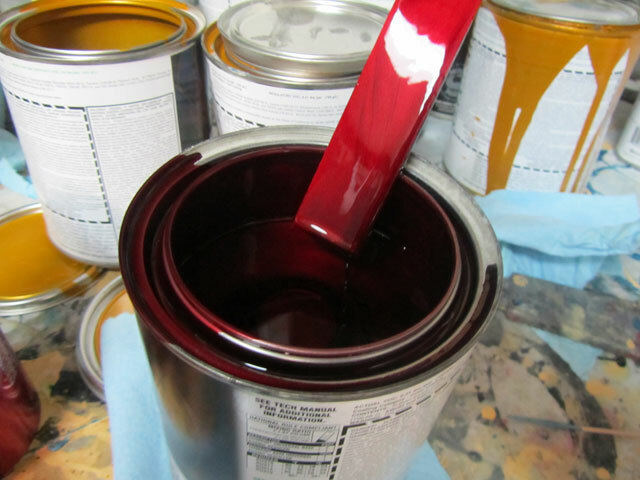 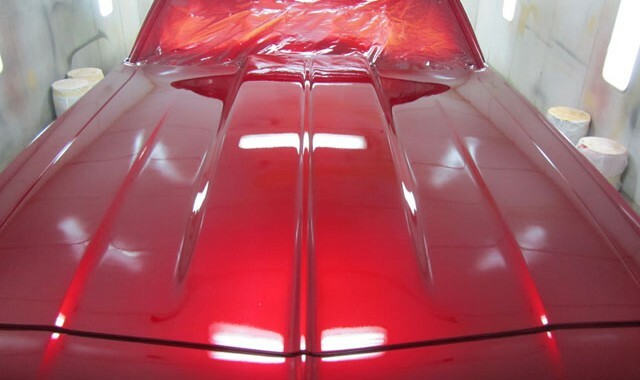 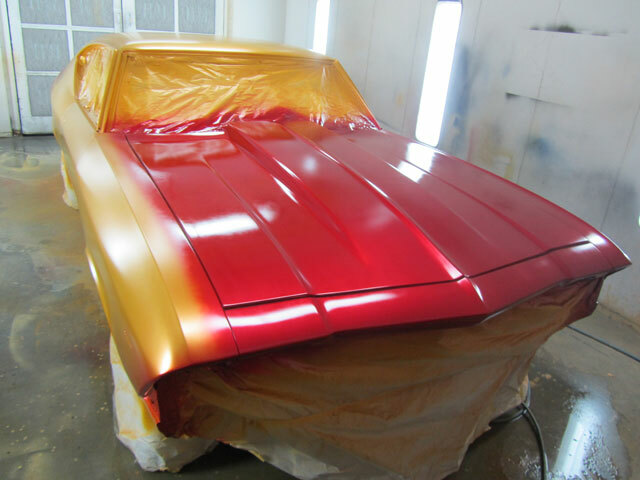 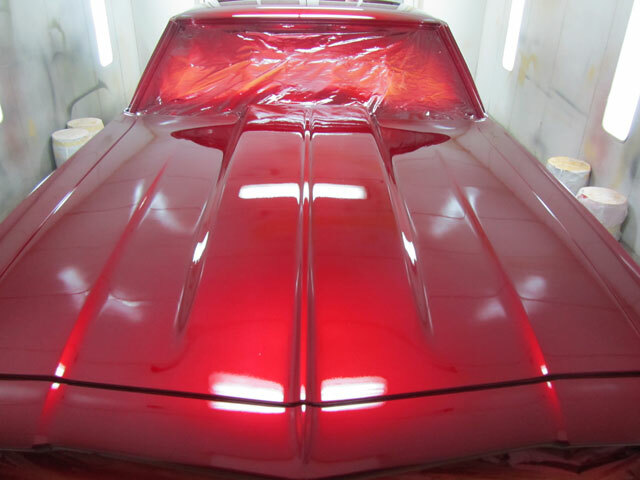 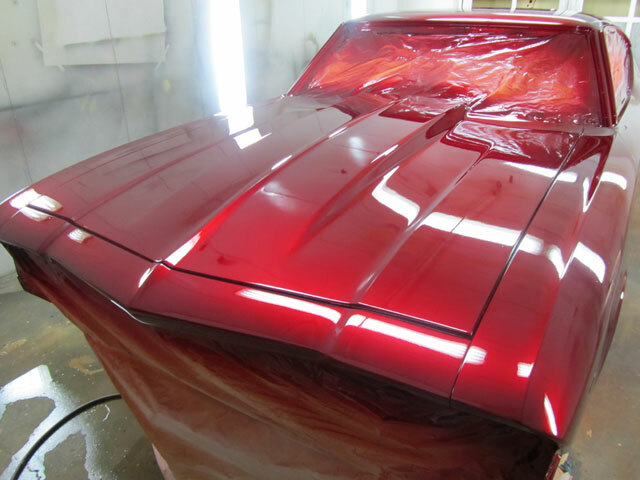 Using House of Kolor products, we sprayed a Shimrin Metallic Solar Gold base, followed by Kandy Apple Red, and finished out with PPG High Solids clear coat to give it a nice, deep shine. 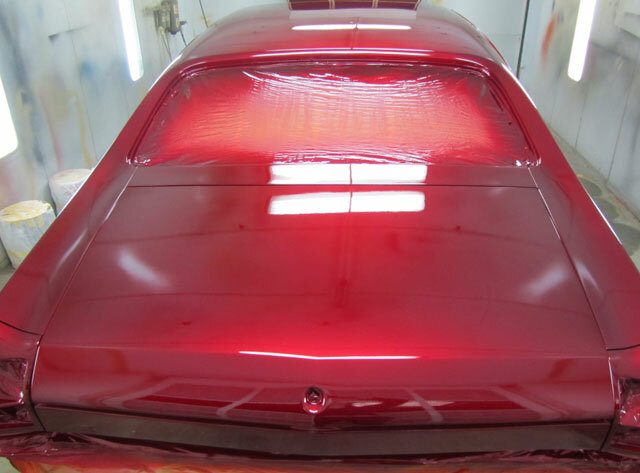 Once color sanding and buffing was done, she was begging to see the sun, and we were happy to oblige. 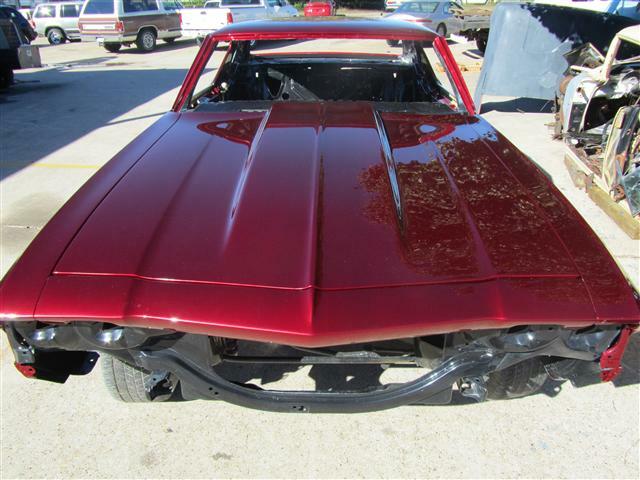 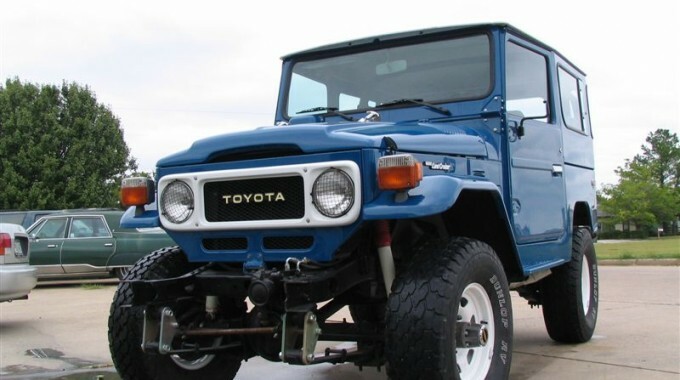 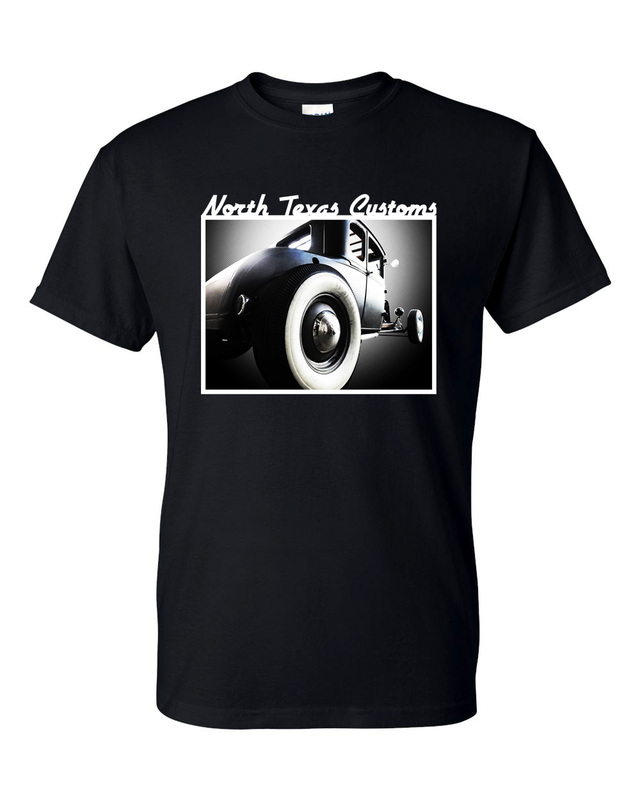 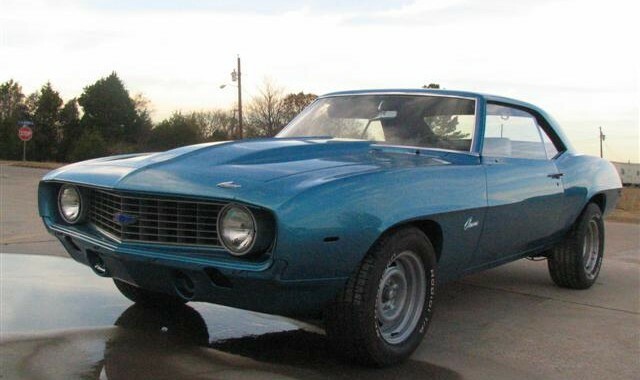 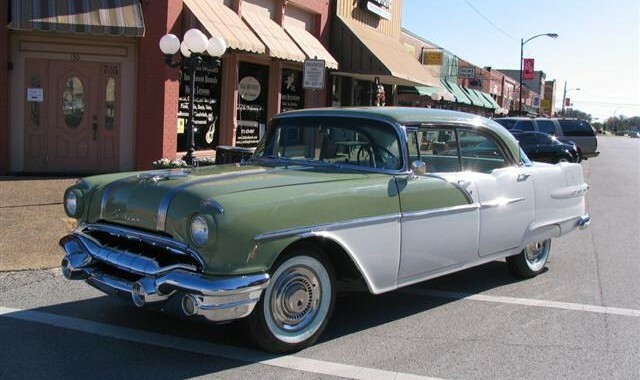 This one may turn a few heads when cruising season rolls around.